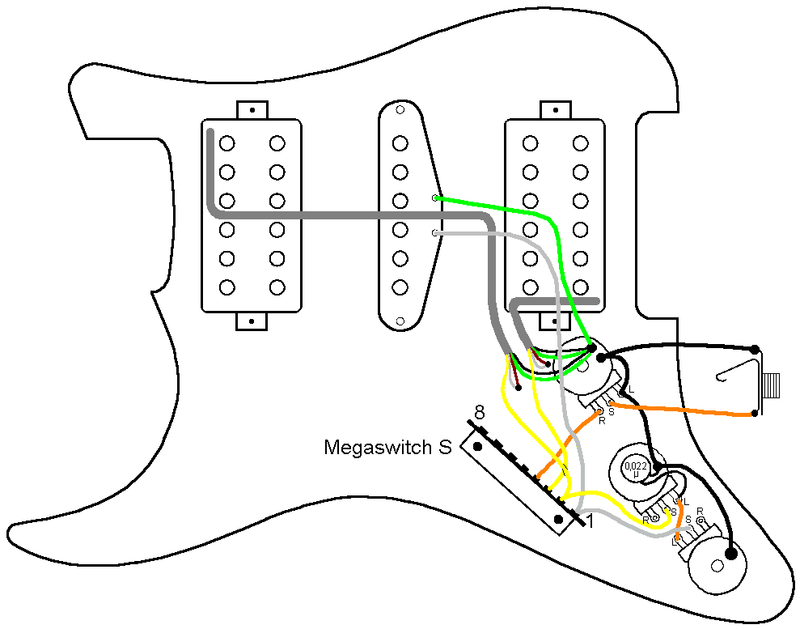 This is the simplest switching system for guitars with two Humbuckers and a single coil located between them. 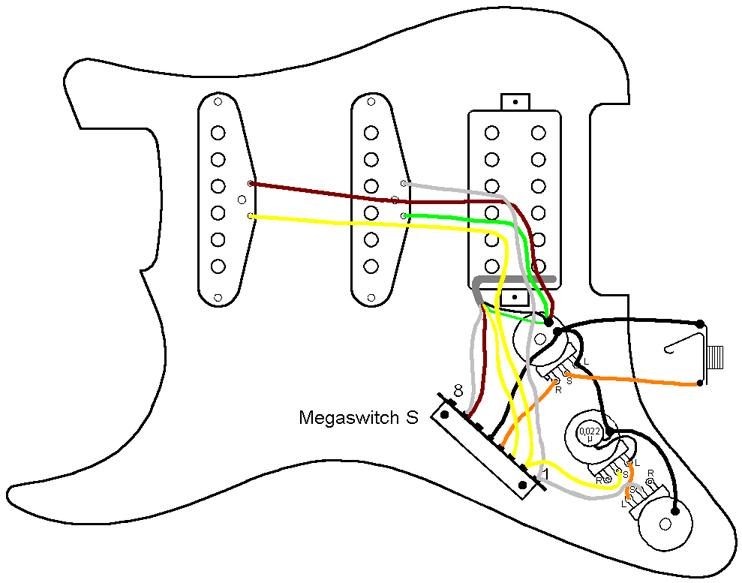 Here, the Humbuckers are not split and the switching functions are as usual. 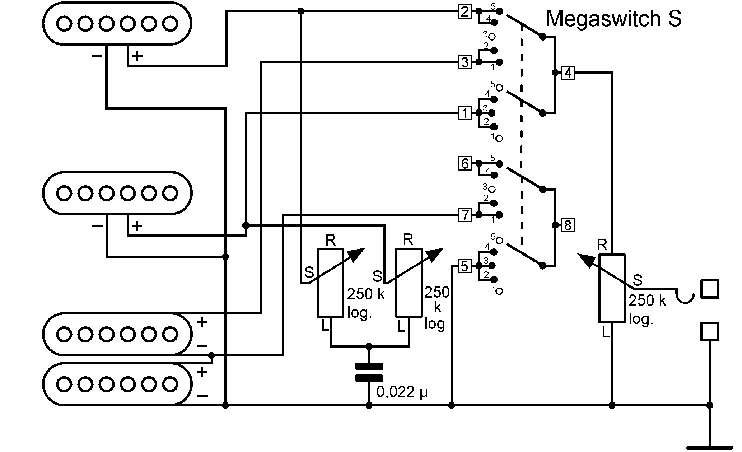 The Megaswitch S is ideal for this application. 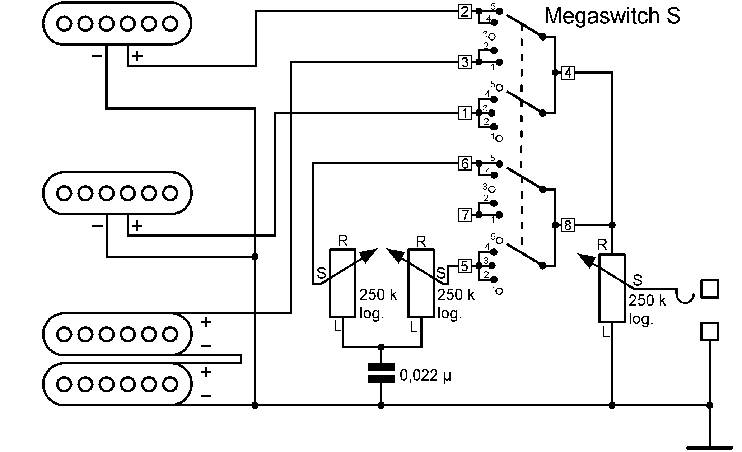 A version with two tone controls is illustrated. 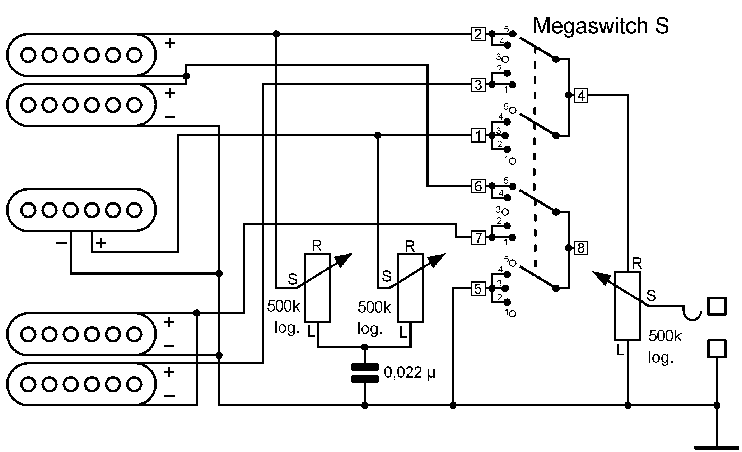 If only one is to be used, the wiper should be connected to connection 4 of the Megaswitch. 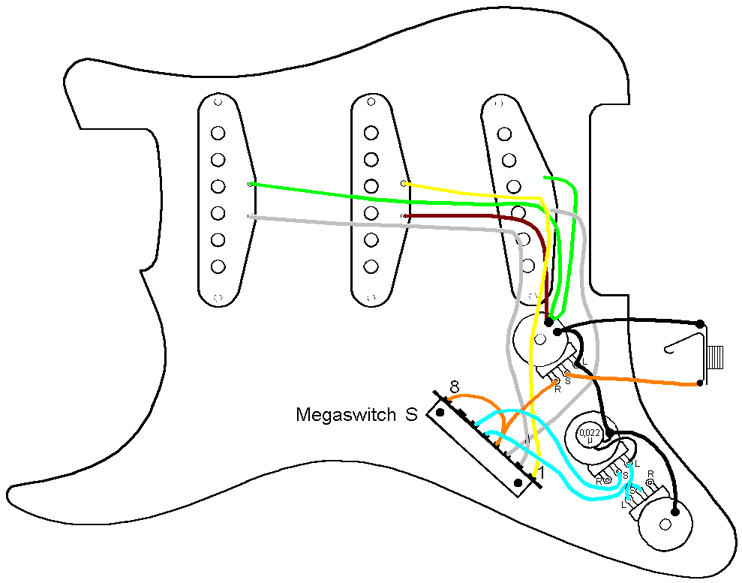 This switching system is for guitars with 2 Humbuckers and a single coil between them. 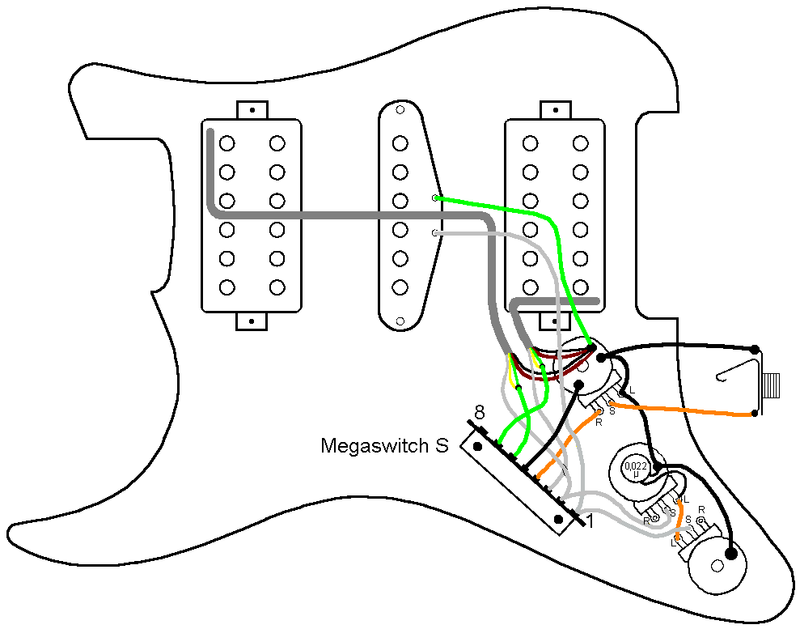 The Humbuckers are split in positions 2 and 4, while the inner coils remain active. The outer coils are short-circuited. In the event that a buzz-free sound is required in positions 1, 2, 4 and 5, the following magnetic polarity is required: NS-N-SN or SN-S-NS. 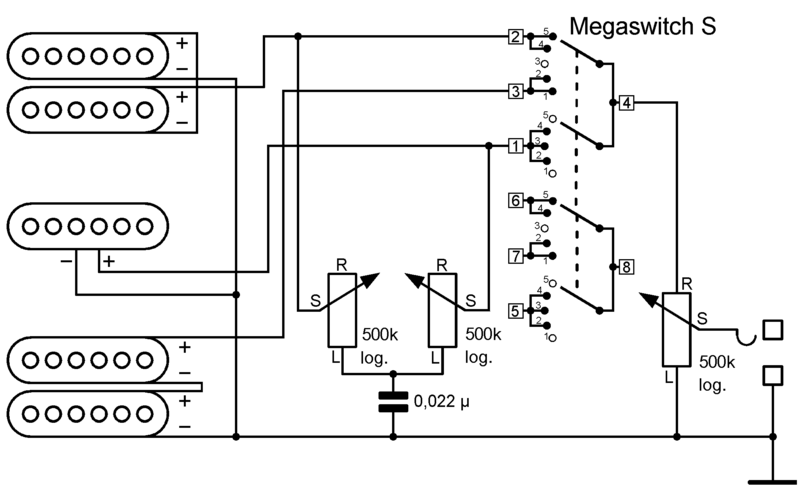 The Megaswitch S is ideal for this application. A version with two tone contols is illustrated here. 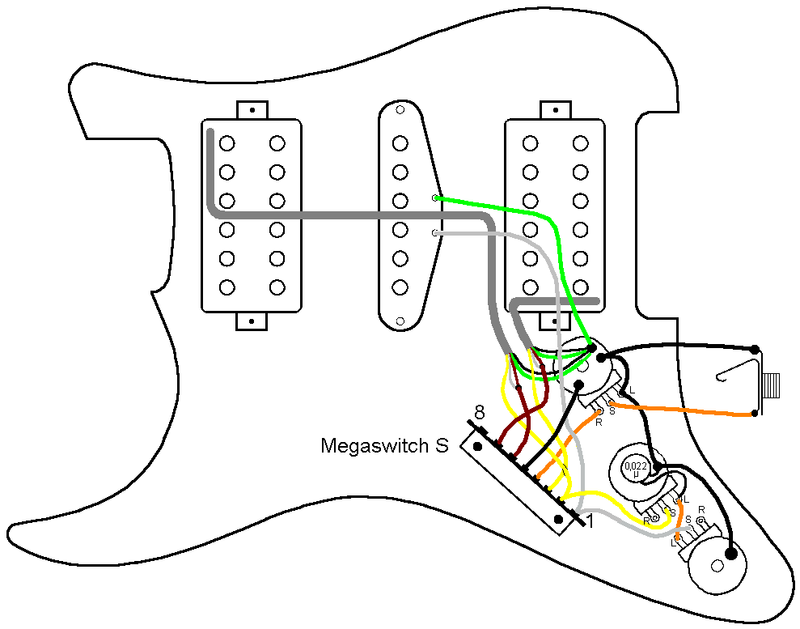 If only one tone control is used, its wiper should be connected to connection 4 of the Megaswitch. 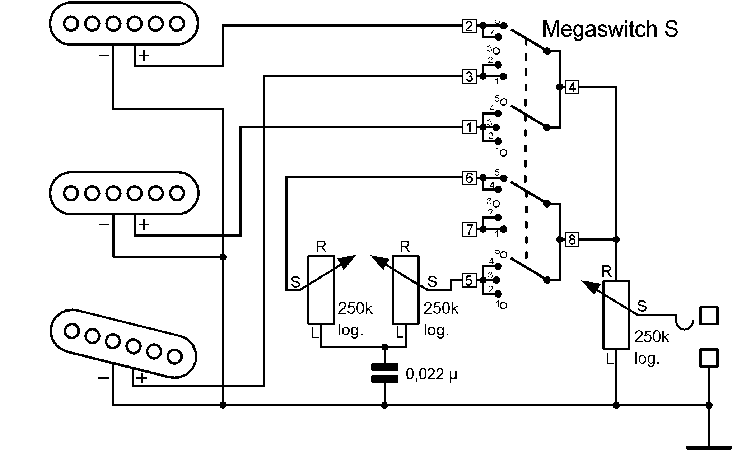 This switching system is for guitars with 2 Humbuckers and a single coil between them. 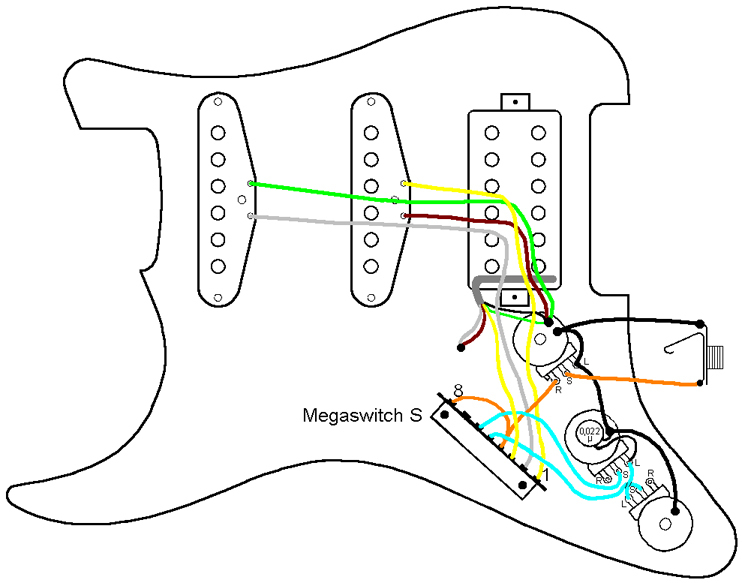 The Humbuckers are split in positions 2 and 4.Contrary to the HSH2, the outer coils remain active and the inner coils are short-circuited. In the event that a buzz-free sound is required in positions 1, 2, 4 and 5, the following magnetic polarity is required: NS-S-SN or SN-N-NS. The Megaswitch S is ideal for this application. The outer coils are short-circuited. In the event that a buzz-free sound is required in positions 1, 2, 4 and 5, the following magnetic polarity is required: NS-N-SN or SN-S-NS. 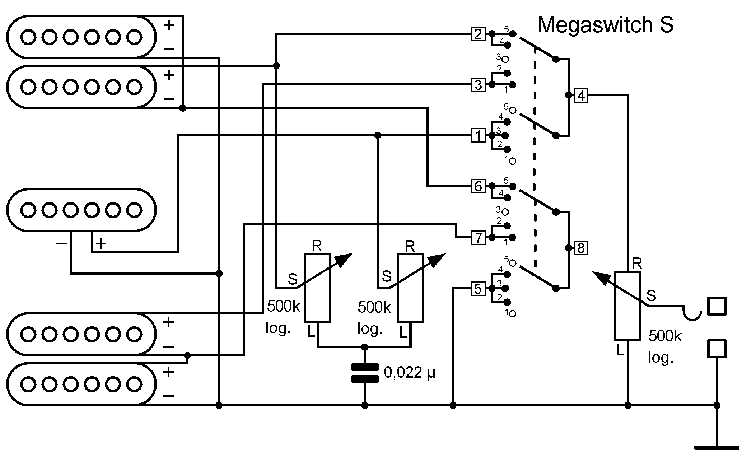 The Megaswitch S is ideal for this application. A version with two tone controls is illustrated here. If only one tone control is used, its wiper should be connected to connection 4 of the Megaswitch.